Travel is often cited as a source of inspiration for designers, and there is no doubt that new locales, cultures, and cuisines can influence creativity. But moments of transition can be just as inspiring! Airport architecture is becoming more and more contemporary, moving away from sad, stale rows of seating to edgy, detail-oriented design that tells travellers the history of the city they’re visiting. These six airports and terminals show us that visual culture exists before take-off, and by slowing down to appreciate your surroundings, you might find inspiration where you never thought to look. The Rock terminal at Wellington Airport in New Zealand offers a bold, geometric design that reflects the history and landscape of Wellington’s Southern Coast. The roof features glass fissures to let natural light shine into the terminal, and blacklighting that creates a glow to be seen from planes in the sky at night. Most of the materials used on this project were recycled, refurbished or salvaged, staying true to New Zealand’s green reputation. 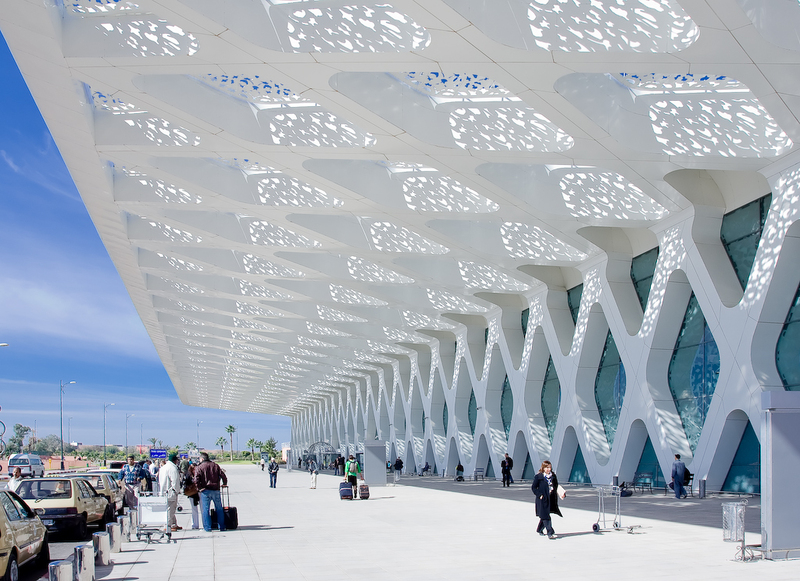 Terminal 1 at the Marrakech-Menara Airport combines Morocco’s rich history with modern sensibility. The exterior effortlessly unites old and new by offsetting bold clean lines with plates that display ornate traditional motifs. As the light shines through, visitors can celebrate the future while being reminded of the beauty of the past. 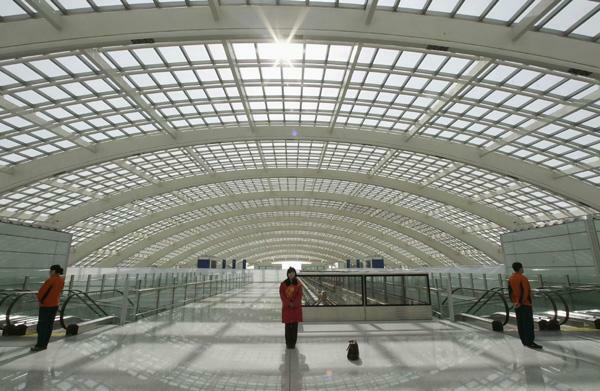 Built in anticipation of the 2008 Olympic Games, the Beijing Airport is one of the largest, sustainable airports in the world. The design references many traditional Chinese colors and motifs. 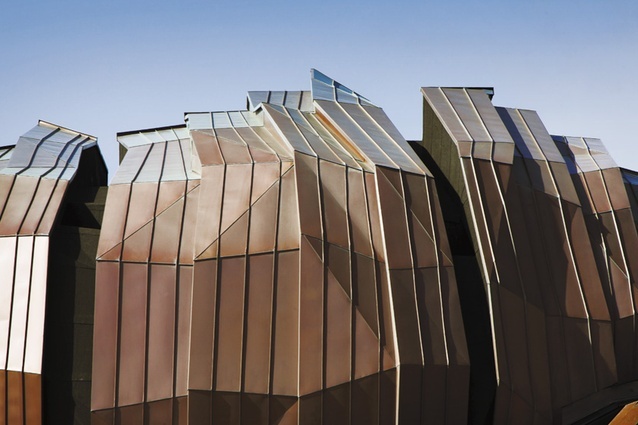 Distinctive red columns call to mind images of Chinese temples, while the roof is reminiscent of dragon-like scales. The canopy features beautiful skylights, embracing natural light throughout the space. 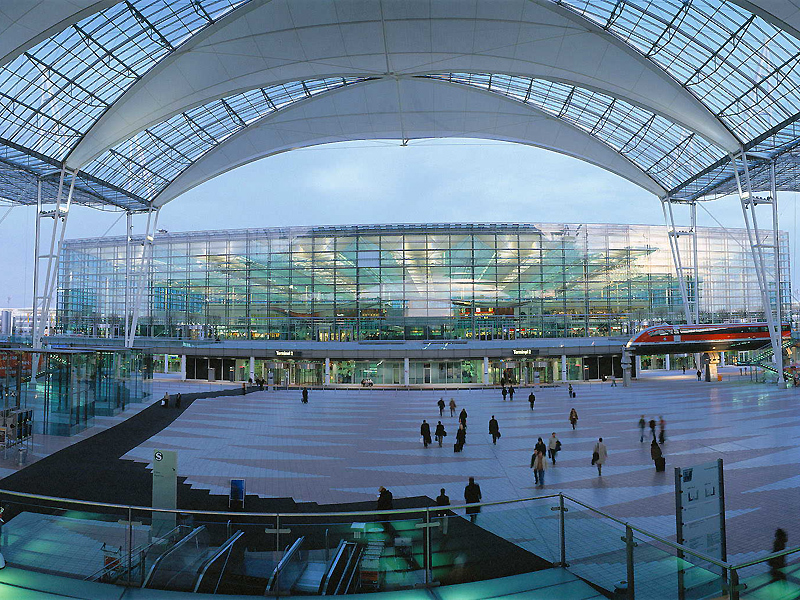 The Munich Airport Center (MAC) connects Terminals 1 & 2, and is home to countless restaurants, shops, and hotels. The transparent roof transforms into the Bavarian flag under a blue sky, and the sprawling space connects to Munich’s urban landscape allowing the airport to seamlessly blend into the city. 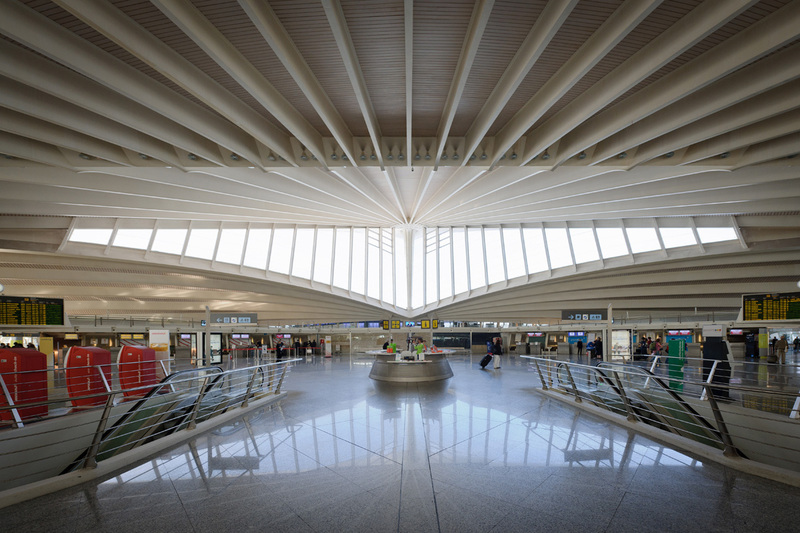 Sondika Airport, nicknamed “La Paloma” or “The Dove” for its bird-like appearance, features minimal and elegant design that makes an impact. Built from steel and concrete, the structure complements the hilly terrain of Bilbao. Despite its simplicity, the design evokes a distinct sense of calmness while the sweeping lines and natural light create enough drama to keep things interesting. 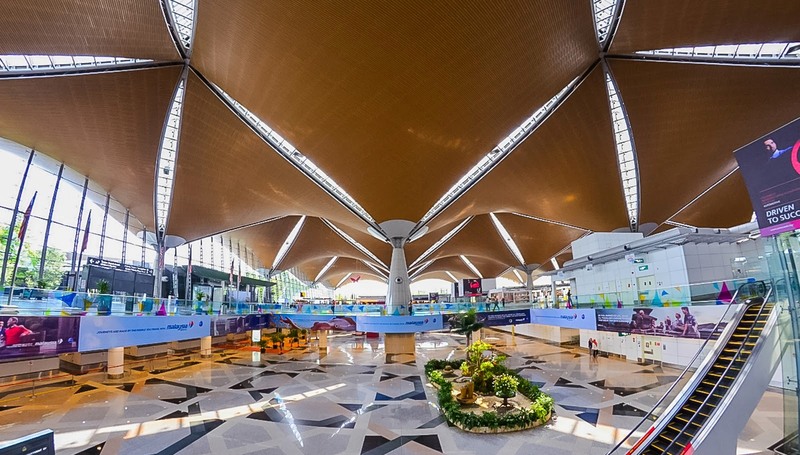 With perhaps one of the most unique designs of any airport we’ve seen, Kuala Lumpur International Airport (KLIA) is characterized by a hyperbolic paraboloid shell meant to be reminiscent of Islamic domes. The airport is surrounded by a man-made rainforest, and built around a central garden space, emphasizing a focus on Malaysia’s relationship with nature.